A yummy song of milk and chocolate, Fais Dodo, is delectable lullaby for your little one. Here are the lyrics for Fais Dodo, and parents can sing in English, though the French lullaby is far more très chic. The song is often confused with the Cajun party dance “fais do-do”, but the festive Cajun dance is a far cry from a soothing lullaby. Cajun’s affectionately refer to “do-do” — an endearment meaning “to sleep” — as an ironic term for trying to stay awake! But there are lovely, and lulling, Creole versions of the French lullaby. Notes: Colas is the baby’s name, most likely a nickname for Nicholas, but you can substitute any name into the song. dodo is pronounced dough-dough. 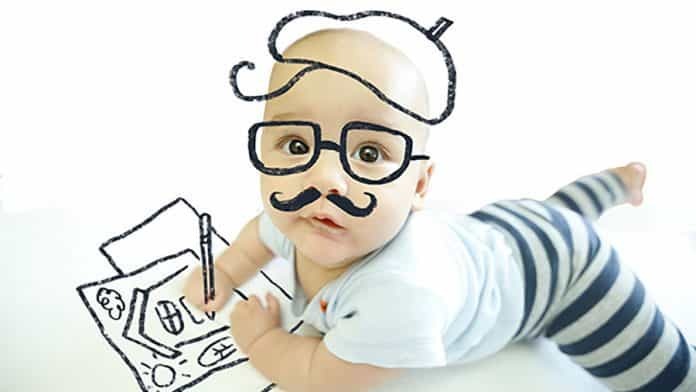 Fais dodo is baby-talk, meaning “go to sleep”, dodo coming from the French “dormir”, and similarly, lolo for “milk” – from the French “lait”. 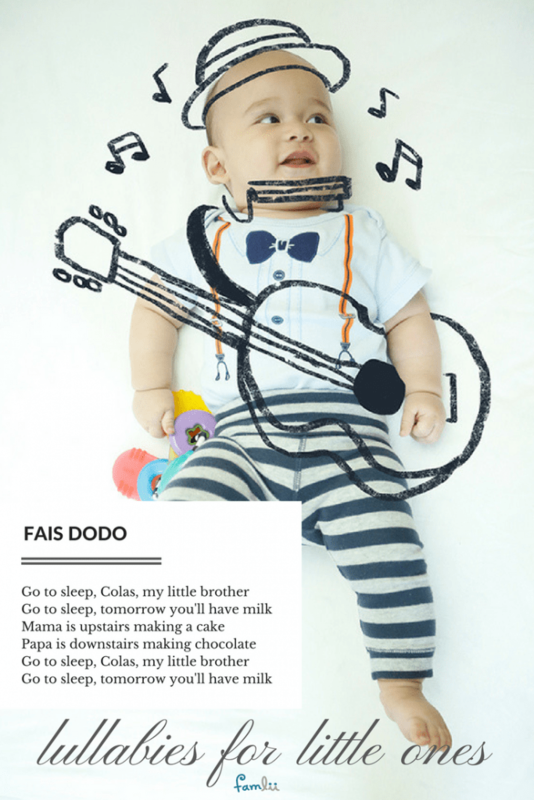 Click to download a printable of Fais Dodo Lullaby Lyrics. The song is well-known in French-speaking areas of Europe, Canada, and Haiti, as well as, in the Cajun areas of Louisiana in the United States. There are numerous variations of the lyrics. Louis Gottschalk wrote his famous Berceuse Op 47, also known as Slumber on Baby, Dear. A Mother’s Cradle Song., based on the French lullaby Fais Dodo. On the album Creole Ballads and Zydeco, the song is called Maw-mam’s Creole Lullaby as recorded by Sybil Klein as her mother’s Cajun version. Fais dodo, dodo sans douleur. Fais dodo, li brille pour toi. Fais dodo, la lune dans le ciel-la. Faid dodo, dodo jist pour moi. Go to sleep, I love my dear one. Go to sleep, sleep without grief. Go to sleep, I love my little dear one. If baby goes to sleep. Go to sleep. The moon’s in the sky there. Go to sleep, it shines for you. Go to sleep, the moon’s in the sky there.